Did a SEAL Team Six Member Violate the Espionage Act? If Osama bin Laden were still alive today, one year after he was killed in a U.S. raid, he would hardly recognize the world he knew. Nor would he see the supposed "clash of civilizations" that he tried so hard to foment over two decades of violent jihad. Instead bin Laden would see Islamist radicals on the election stump in emerging governments in Egypt and Tunisia, pledging cooperation with senior U.S. officials, and even meeting with a few neocons in Washington. He would see a U.S. administration that, having killed most of bin Laden’s confederates, is now ready to move into a post-al Qaeda era and engage with Islamist politicians as long as they renounce violence and terrorism. He would see Islamist parties that are passionately pursuing power and vested interests within their own countries (Egypt, Libya, Tunisia) rather than against bin Laden’s old “far enemy,” the United States. But there is one small subsection of the world bin Laden would recognize well, just as if nothing had changed. He would feel happily at home among some of his dependable (if inadvertent) allies in the United States: right-wing conservatives such as syndicated columnist Cal Thomas, who seem certain that their (and bin Laden’s) cherished “war on terror” will go on forever. I discovered this after I wrote an article last week quoting a State Department official as saying “the war on terror is over.” Now, to be clear, this idea has effectively been President Obama’s policy since 2009, when he discarded George W. Bush’s old phrase, “global war on terror,” or GWOT, and sensibly refocused America’s attention on eliminating al Qaeda, which is still the only enemy that has attacked us since 9/11. Yet Rubin’s contention no longer appears to stand up well to the developing realities in the Arab world. Not only are bin Laden and most of his senior lieutenants (except for Ayman al Zawahiri) dead; the so-called Arab Spring has opened up new channels of expression, supplying for the first time in decades an alternative to violent jihad. Experts point to fractionalizing of the Brotherhood and Salafist groups, which will be forced to govern pragmatically in the jostle for influence and power in their home countries. And what is most interesting is that some U.S. conservatives are starting to agree with this proposition, and to see things in a very different way from Thomas and Rubin. Even prominent neoconservatives such as Bill Kristol and Charles Krauthammer have outraged their former allies on the right by saying the U.S. has no choice but to engage the new Islamist political parties formed by the Muslim Brotherhood (which renounced violence decades ago) and other former jihadist groups. The Obama administration has been understandably jittery over this issue during an election year in which presumptive GOP nominee Mitt Romney accuses the president regularly of weakness and appeasement. So the administration has been careful to emphasize that the war against al Qaeda will go on. Yes, it is early. Nonetheless, there is a sense that we can begin to see the beginning of the end, or at least (as Churchill said) perhaps the end of the beginning. Washington is pursuing a sounder strategy than it did a few years ago. 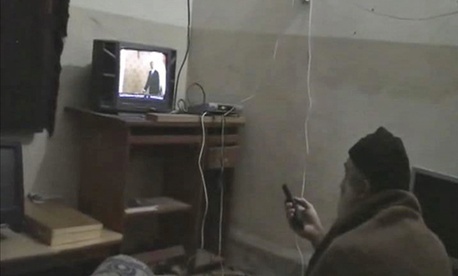 Based on captured computers and documents, we know that bin Laden always wanted an adversary who would give him more allies than he actually had in the Islamic world. He got such an adversary in George W. Bush. We know that al Qaeda’s goal on 9/11 was to draw America into a long and draining conflict and to “bleed” and “bankrupt” our country--bin Laden’s own words--by pitting us against the broader Islamist world. When Bush invaded Iraq, bin Laden’s hopes were realized. Obama’s reorientation of strategy was simply an acknowledgement that there was really only one Islamist group that attacked the United States directly: al Qaeda. As I wrote back during the 2008 campaign, urging then-candidate Obama to abandon the GWOT: “Bush has gradually expanded his definition of the war on terror to include all Islamic 'extremists'—among them Hezbollah, Hamas, and other radical political groups that have no ties to al Qaeda, ideological or otherwise. In doing so the president has plainly condemned us to a permanent war, for the simple reason that we will never be rid of all the terrorists. It is also a war that we will wage by ourselves, since no other nation agrees on such a broadly defined enemy. As Princeton scholar G. John Ikenberry has written, ‘It is perhaps a paradox—and one that is fitting for the strangeness of our current age—that we will need to end the war against terrorism because we cannot end terrorism.'" In the end this is just what Obama did (though not on my advice of course). And now we are indeed in a new world. One that Osama bin Laden, had he not been taken off the field a year ago, would not recognize.